Unlike sliding doors where only half the total area can be opened, folding doors open completely and create large panoramic openings into your garden or yard. Bifold doors consist of two or more door connected panels that open concertina style, folding away flat to one side when open. Folding patio doors are the best way to get the most natural light and largest uninterrupted views. Neuffer offers you a wide range of RAL color options, finishes, frame styles and sizes to craft a bespoke solution to your project. With their accordion like opening and closing system, folding doors were only used on the interior in the past. Today's modern technology and manufacturing techniques means their security and the seals between each panel can match any other style. Bi-fold doors can be opened completely with all doors stowed to the side. This means you get 100% of the overall door space in contrast to sliding doors. However, since bi-folding doors are made from a series of individual sections, they can also be opened partially, panel by panel. Today, bi-folding doors are ideal for patio doors and balconies which connect the interior of your home with the exterior. They add lots of light and space, both particularly important in urban areas. Why Choose Bi-fold Doors vs French and Sliding Doors? French doors have long been the most common style and are synonymous with patio door. They are great for smaller installation areas in the facade. Yet, by swinging inwards or outwards, they unfortunately take up further room which may already be at a premium. They also only offer inswing and outswing options whereas folding patio doors can open all in one direction, in the middle, or to both sides. Compared to sliding doors, bi-folding doors open entirely whereas sliders can only open over half of the overall door space. Since folding doors are made up of several panels, they have more locking points than sliding ones and also make it easier to install blinds. An additional benefit is that folding doors are flush with the floor making them automatically barrier-free whereas this requires additional configuration for sliding doors. There are several ways of enhancing the burglary protection. For instance, additional hardware can be installed such as multiple locking points and extra security pins to foil attempts to lift the leaves out of the guiding rails. The bifold frame and leafs are firmly connected, preventing would-be intruders from entering without the use of heavy tools. Similar to most doors featuring large glazed areas, bifold systems should be fitted with special laminated safety glass on the exterior pane to ensure adequate security. Laminated glass is made from two glass sheets bonded together under heat with a thin layer of clear plastic material, either polyvinyl butyrate or ethylene-vinyl acetate (EVA) between. This is what prevents shattering giving it the typical spiderweb pattern when cracked. It can often be found in car windshields or homes in areas requiring hurricane proof and storm windows. 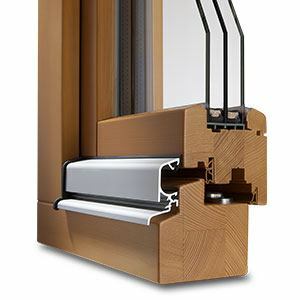 Modern manufacturing techniques and fenestration technology means that bifold doors can offer excellent insulation values. With high quality seals between all sections, they protect against air infiltration and energy loss. Double and triple glazing can then be additionally used to increase energy performance and improve U-values. The U-value describes the amount of heat transmitted through one square meter of surface area within a one-second time frame. Thus, lower values are better. Filling the space between the individual glass panes with a gas such as argon can further improve the U-value of a bifold system. Argon is a heavy gas that is much less conductive than standard air. 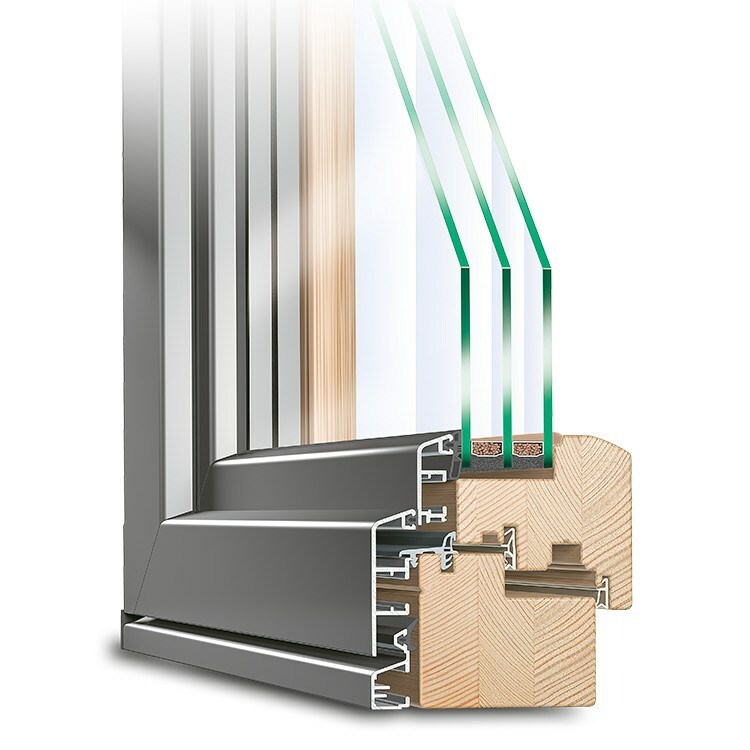 Increasing the gaps between pane as well as pane thickness also leads to better heat insulation and sound reduction. Neuffer offers bespoke bifold door systems for your patio in both wood and aluminum clad wood. Both options offer various advantages and are best suited to different tastes and homes. Wood boasts great insulation and strength right out of the gate. It provides a warm, authentic and natural look for any home while requiring a bit more upkeep than synthetic materials like vinyl. Aluminum cladding will boost the durability, security and looks of wooden frames. Aluminum cladding represents the best of both worlds. For the ultimate bespoke solution and unparalleled aesthetics, aluclad wood frames are second to none. They feature a sleek modern look outside and robust weather resistance. This adds up to minimal upkeep over the years and and the same cozy look of wood indoors. As with windows, there are a wide range of further options that can be selected to reach the thermal efficiency, sound reduction and security needs of your project.